Robots Vs Humans: Who can clean a house better? 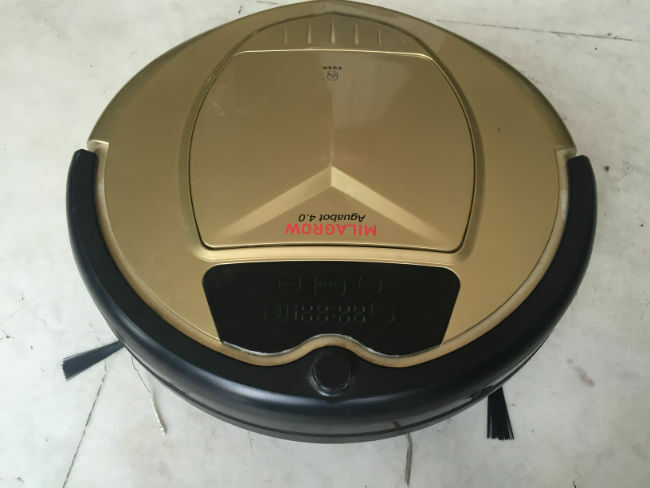 A surge of robotic house cleaners in the market and no one to tell you how good they are? Worry not! We spent a week with the Milagrow AguaBot 4.0 and put it to test against the world's oldest machines - Humans. Robots have always been one step ahead of us humans. Be it robotic bartenders that can mix a mean cocktail or those which work tirelessly in industries, manufacturing anything from cars to the display on your smartphone, advances in the fields of artificial intelligence, smart sensors, and the Internet of Things, are creating a strong future for the robotics industry. Yes, we - the humans, made those very robots I speak about, but are we making them smarter than us? Infact, Dr Moshe Vardi, a computer science professor from Rice University believes that AI will put humans out of work in the near future, and that a basic income model will have to be set up wherein citizens are paid an unconditional salary due to the economic shift brought about by AI. Now, the list of features sound impressive and to a great extent they are, based on the sheer possibility of such a gadget, but the robot cleaner’s true limitations were tested when I put it to work in my apartment. 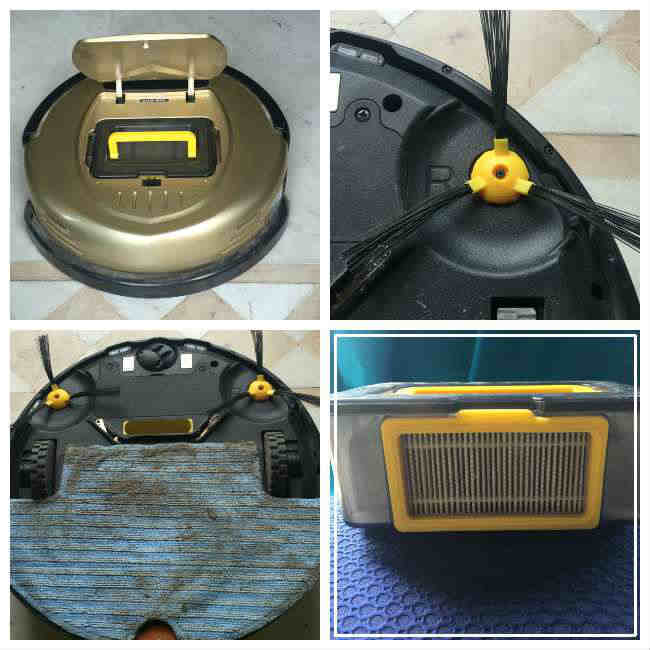 I started by using the AguaBot to sweep and vacuum clean, without the wet mop. The AguaBot uses 2 brushes under its body, which direct the dirt through a suction system into a bin housed inside the body. A turbo suction fan accumulates dirt at a RPM speed of 16000X18000 and a suction power of 40W. All this happens as the robot whizzes through the room using two rubber wheels for legs. The gyro sensor and wall detection features help the AguaBot with its directional orientation. So, when the cleaning mode is turned on, the robot gets to work finding its way around obstacles and slowly accumulating dry dust and other specs of dirt from the floor. In my experience, while the robot did a decent job sweeping my drawing room, an area which generally does not require heavy duty cleaning, it found its match in my balcony, which gathers small leaves and dust during the day. Leaves, sometimes, get entangled in the 2 brushes and have to be removed manually. Heavy duty dust cleaning is also difficult for the robot to achieve and at times it spreads more dirt around, rather than cleaning it. In its defence, Das says, "A Robot is not a 'God' but it is designed to do heavy duty cleaning as much as humans are. If there is a stain ... even a human uses extra effort, the same amount of extra effort is needed to clean. Infact the robots have dirt sensors that do the effort, but if a stain under normal circumstances needs human intervention, even the robot will need that intervention." We totally agree, cleaning robots also need help sometimes, just like us humans. In indoor usage, the AguaBot’s cleaning performance is far superior. The bot is equipped with an Ultraviolet light that can kill floor bacteria and viruses while it cleans. Similar technology is used in water purifiers as well. Now this is something us humans definitely can’t do. In addition to UV fileration, the bin housed inside the AguaBot also features a HEPA filter. These filters are essentially used for capturing dust pollen, bacteria and viruses. Milagrow claims that the AguaBot’s HEPA air filter can filter 99.97% of all particulate matter greater than 0.3 micrometer. For wet mopping, a mop can be attached to the base of the AguaBot. This mop gets its fill of water from a small water tank housed at the base as well. The tank controls the amount of water that the mop needs, ensuring there is no overflow of water on the floor. Similar to its sweeping capabilities, the mop can handle small amounts of dirt and needs to be detached and cleaned manually if it gets too filthy. The company told us that the water tank can house various liquid cleaning agents as well, for improved output. Essentially, the AguaBot is a great side-kick when it comes to cleaning a house but it definitely can’t replace the formidable human touch. In our tests, there were many times human intervention was required for the robot cleaner to function properly. It has to be rescued from tasseled carpets (and sometimes children and pets in the house). Although the wheels have the ability to maneuver raised flooring between rooms, there are times it fails to find its way to all the rooms in a house. Another very important factor to note here is that robot cleaners take their own sweet time to finish cleaning chores, whereas humans are far quicker and efficient. Some may feel these robot cleaners are self-indulgent and mostly a gimmick but that is also not the case. We humans have a lazy mode built into our systems and that is when robotic cleaners like AguaBot change the game. You may make a mess while cooking or maybe a guest walks into your house with dirty shoes. At such times, you may not want to get all down and dirty and need a tiny robotic helper to do the job for you. At the end of 1 week of using the AguaBot, I realised that while house cleaning robots make for a great show and tell at parties, they still have ways to go before they become completely independent. 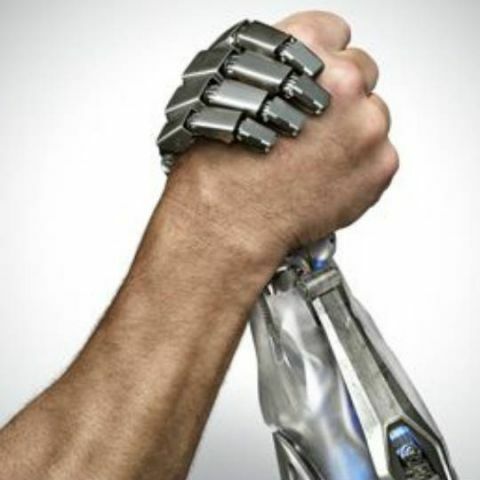 Their hands and eyes are the sensors that sit inside, but they are missing the true potential of artificial intelligence. Then there is the challenge of making advanced AI affordable to household consumers. If and when these cleaning bots become smarter, they will end up costing a bomb. The AguaBot itself is priced at Rs. 29,990, which automatically puts it over the budget segment. The company says that the one-time cost of AguaBot more than makes up for the number of features it offers. Das explains, "Consumers are smart today and are evolving to better technology and better lifestyle. They will go for robotic cleaners over a period of time. Robotic cleaners are therefore no to be judged by price but for healthy living, convenience, etc. People have chosen to upgrade from a bike to a sedan ..and they are upgrading from self driven to automatic cars.... they will upgrade to better technology of cleaning." Das makes another important point, "It's a field ripe for innovation. While industrial robots are made safe by being deactivated when somebody comes close, service robots have to interact with people. As a result, they require more complex safety concepts in order to ensure safe operation, perhaps even going as far as proximity sensors and tactile skin. Not every robot of the future will look like a human." Yes, more innovation in robotic cleaners is on the cards and we can't wait to see what the future holds. It’s a robot that cleans. It needs considerable human intervention. It can detect obstacles and has in-built fall detection. It can sometimes get stuck on loose threads or difficult corners. It features UV cleaning, a HEPA Air filter and a water tank. It can sometimes smear more dirt than clean it. It works very well for indoor cleaning. It has to be monitored constantly. It can automatically walk to its charger, when the battery is low. The charger needs to be placed against a wall to avoid it falling down, when the robot attaches itself to it. What can I do if some parts of the house cant detect a WiFi signal?